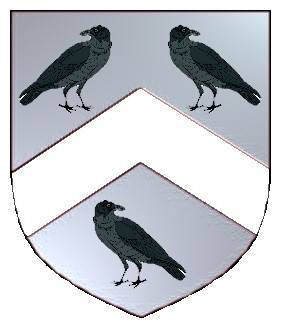 Coat of Arms: Silver with a chevron between three black ravens. Motto Translated: The hope of a better age. Coat of Arms: Red shield with a gold carbuncle (resembling a rock with eight spokes), decorated with gold knobs and fleurs-de-lis at the tips of the spokes. 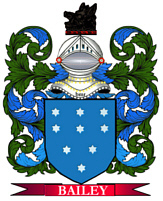 Crest: A gold ducal crown.